If you have have internal heating and cooling systems in your home or offices, you might have vents and ducts which, if not regularly cleaned, are potentially hazardous to you, your health, and even your wallet. A simple search with the Environmental Protection Agency will confirm that indoor air pollution has become a big problem. Where as asthma and allergens were once problems of the outdoor world, today they have become problems of the indoor world as well. As heating and cooling systems become more complex and sophisticated, they sprout more ways for bacteria to fester and grow in air ducts and their components. A home vacuum cleaner is not a solution for air duct cleaning and, unless you have Stretch Armstrong's arms, you'll likely need a professional approach with professional tools and professional technicians. We have all of that, and more! 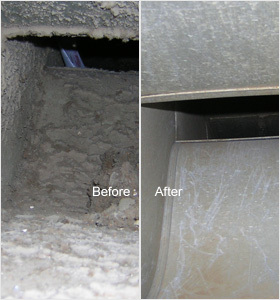 Philadelphia Carpet Cleaning's air duct service uses specially trained technicians to inspect, remove, clean, and replace every component of your heating and/or cooling system that may have become contaminated with dust, bacteria, hairs or other small particles. Our cleaning techs will clean every relevant component. Even grilles and diffusers are treated and rid of any contaminated particles. Upon completion, which shouldn't take long, our technicians will replace the components exactly as they were and will check the system in front of you to make sure that everything works as it should. All of our products are green friendly and approved for flushing through the system. Most of the cleaning is done with specialized tools to dislodge any stubborn dirt, then vacuumed out with a high powered vacuum cleaner. We aim for instant air relief and want you to notice the difference immediately. 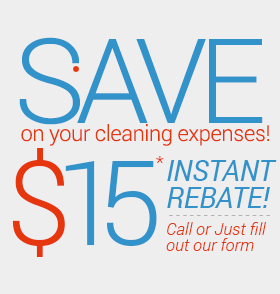 Start breathing right again, call us today!